Lose yourself in the traditional architecture, ancient castles, samurai mansions and authentic Edo streets of this historic wonderland. 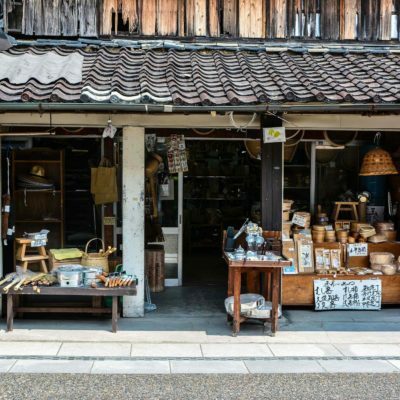 Nestled on the eastern edge of Kyushu Island, there is a place where one can dive into the dusty pages of history and explore Japan’s ancient authenticity. Have you ever dreamed of owning a time machine? 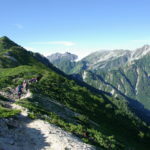 Now, you don’t need one: step into Oita Prefecture and let your feet walk you right into the past. Just a 1 ½-hour flight — or seven-hour shinkansen (bullet train) ride — from Tokyo, Oita is famous for its abundance of hot springs. In particular, the jigoku, or “hells,” in and around Beppu such as Chinoike Jigoku, the “Bloody Hell Pond,” with its red water and billowing steam. However, the prefecture is also home to a wealth of places that allow you to experience the bygone days of Japan’s feudal past. 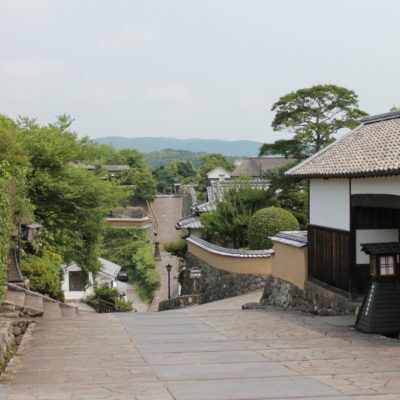 Here are just a few to add to your bucket list of Japanese historic sites. Hita City is tucked away in the western corner of the prefecture. 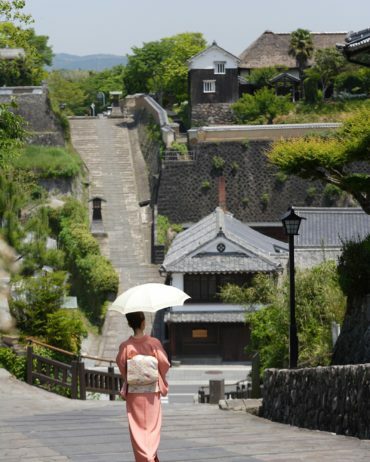 Its old town, the Mameda district, is the perfect place to begin your journey. 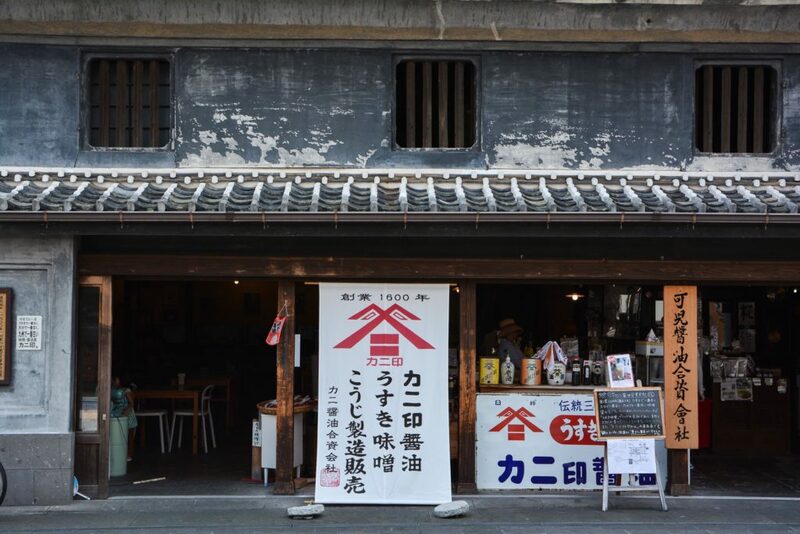 Established at the dawn of the Edo period, Mameda is a time capsule preserved with the greatest care. 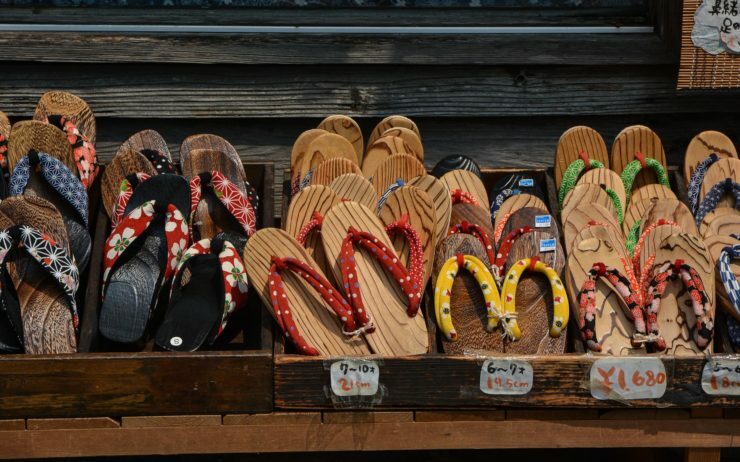 The district’s walkable streets are lined with traditional houses, cafés, museums and shops selling handicrafts, geta (Japanese wooden clogs), paper fans, wooden boards and baskets as well as bamboo goods. Here, you’ll find no power lines obscuring the view of the inky-blue mountains in the distance. Such modern trappings run underground as not to detract from the authenticity. The streets are even lined with gas lamps, rather than street lights, giving it an enchanting otherworldliness. 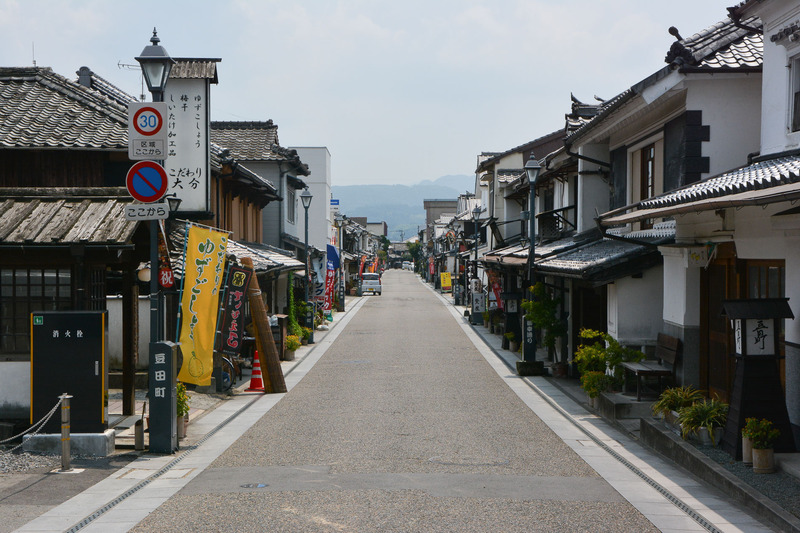 Mameda — affectionately dubbed Oita’s “Little Kyoto” — is made up of two streets running north to south and five streets running east to west. Take a stroll through the district and spend a little while enjoying the beauty of a simpler time. 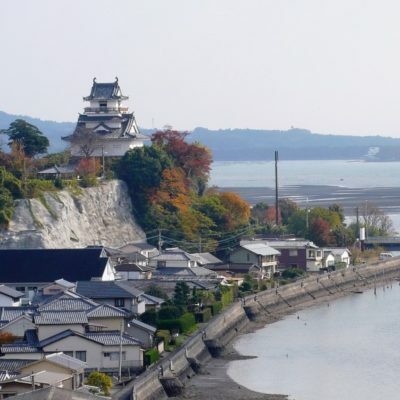 Next is Kitsuki, a seaside town in Oita’s east, famous for its bukeyashiki (preserved samurai residences) and unique topography. 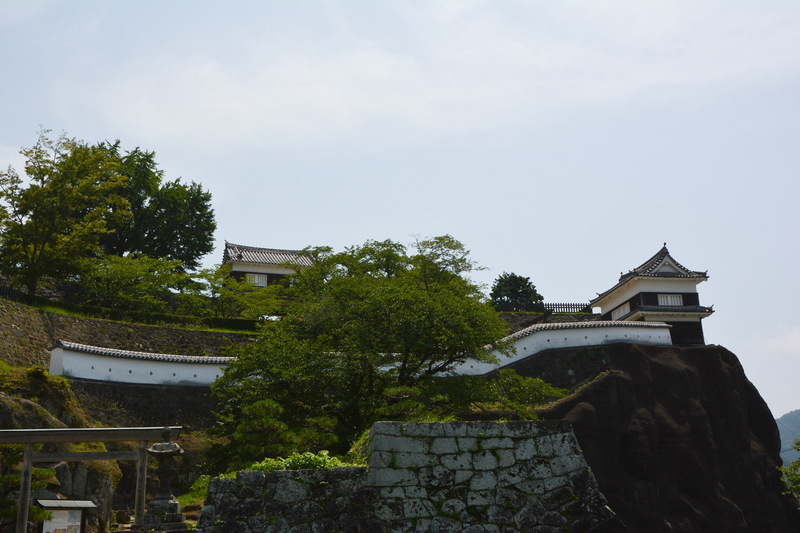 Nicknamed the “Wall Fortified City,” Kitsuki is split into two parts. In the center, the commercial district runs along the main street while, on either side, rise “the walls” — two hills sitting in lovely sloping symmetry. 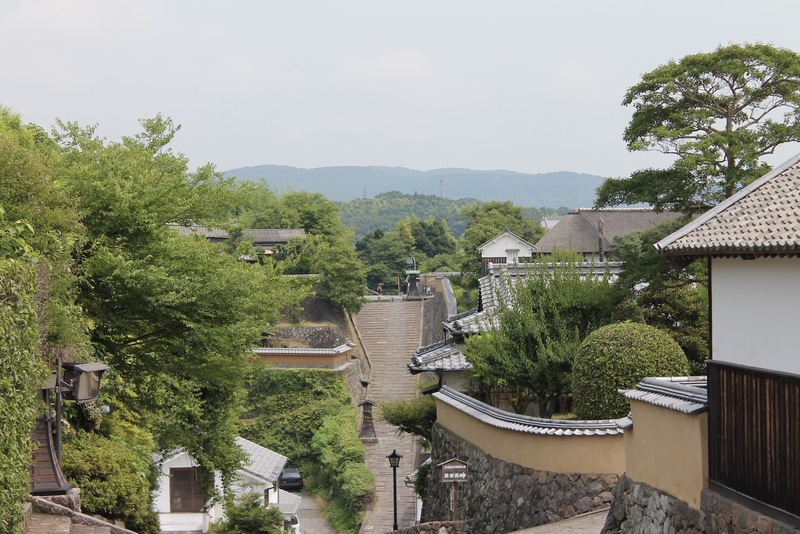 These slopes — named Suya no Saka, (vinegar slope) in homage to the vinegar shop that once operated at the hills’ base — lead into the northern and southern samurai districts and their homes. Tourists can explore these residences for a small fee of around ¥200 each. 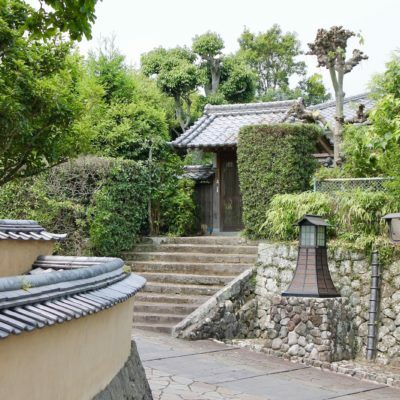 In Kita dai, or the northern district, is the Nomi Residence: a traditional, dark wooden dwelling with shoji (traditional sliding paper screens), tatami, delicate black-tiled roofing and a luscious, green garden encircling it all. 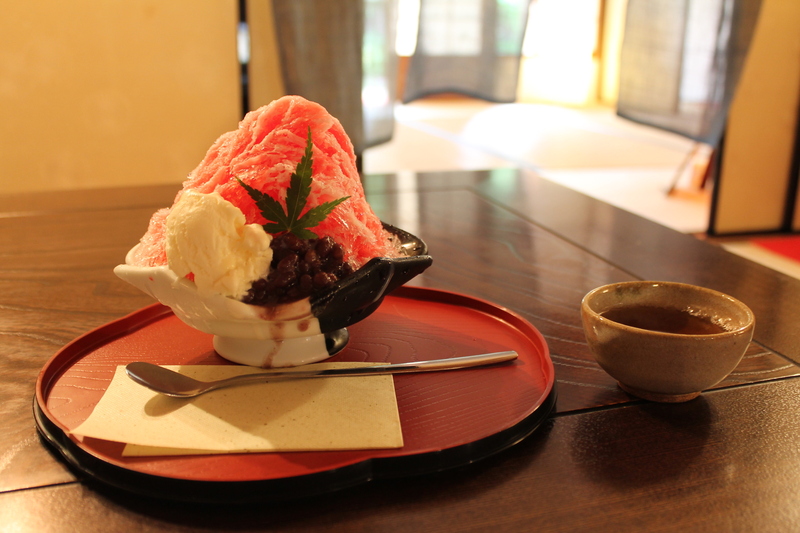 The Nomi Residence has free admission and is attached to Dai no Chaya, a teahouse and café that, among other things, sells matcha (powdered green tea) and kakigori (shaved ice) along with traditional desserts and sweets. For complete and total immersion, why not rent a kimono or yukata from Waraku-an Kitsuki? 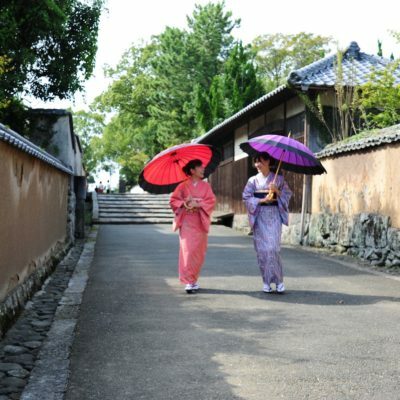 For ¥3,000 you can wander the feudal streets and preserved slopes in traditional dress. To encourage the donning of authentic costume, some of the samurai residences even offer free admission or discounts to those wearing kimono or yukata. 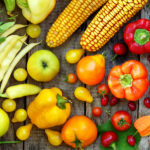 You can find more information on those here. After, check out Kitsuki Castle. Standing proudly over the Seto Inland Sea, this tiny castle was reconstructed in the 1970s after the original was lost during the Meiji period. 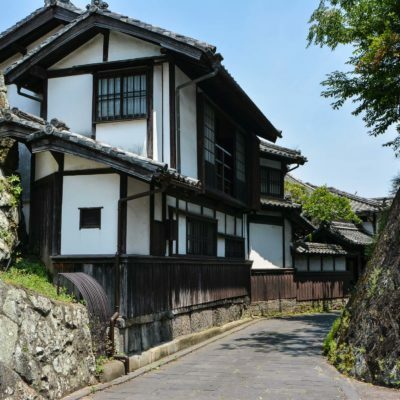 It is said to be the smallest castle in Japan and is home to a petite museum celebrating the history of the feudal lords and upper-class samurai who once called this place home. 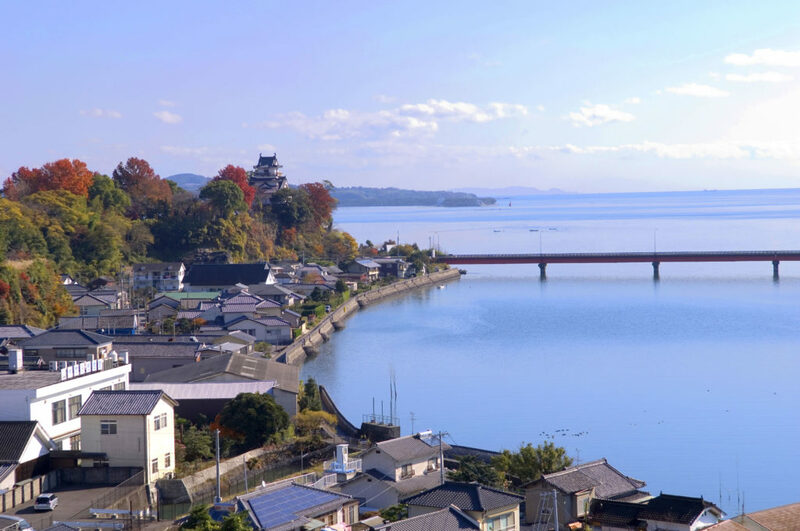 Finally, head southeast to Usuki, a town famous for its soy sauce production, Usuki stone Buddhas carved along the coast and its beautiful old town district sitting in the city center. Wander along the Nioza Historical Road, a 200-meter walkway of narrow paths winding in-between the preserved houses with traditional architecture. 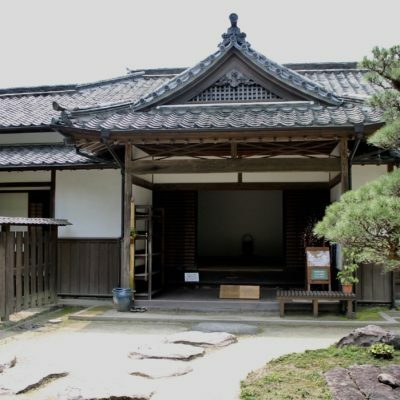 Along the street you’ll find temples, historical residences and yet more samurai mansions. Nioza Historical Road’s mossy walls, white stone buildings, dark wooden fixtures, and verdant green trees peeping out in contrast with it all, are truly enchanting. 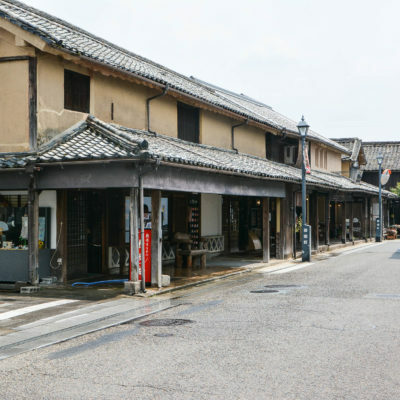 Parallel to Nioza is Haccho Oji, a traditional merchant shopping street lined with stores selling kimono, yukata, sweets, local specialties and other craft goods. Take your time, peruse the goods of these little shops and lose yourself in the quaint details of this historic strip. 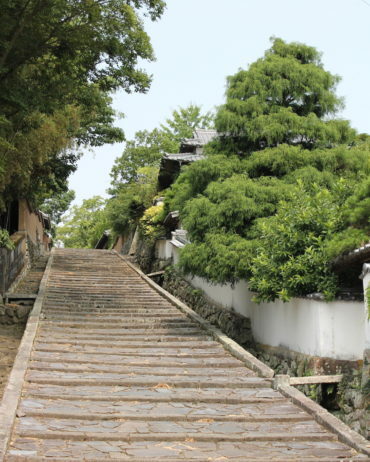 Finish off your exploration with a trip to the ruins of Usuki Castle, located atop a hill in the city’s east. Though much of this structure has been lost to time’s great pinwheel, it remains a cathartic place to end your journey and stare out over the city and the mountains in remembrance of the lives of those who once walked these old, feudal streets. Photos by: Estelle (Hita and Usuki), Alix Durantou (Kitsuki), Tamara Burgess (Kitsuki) and Tourism Oita (Kitsuki) via Voyapon. 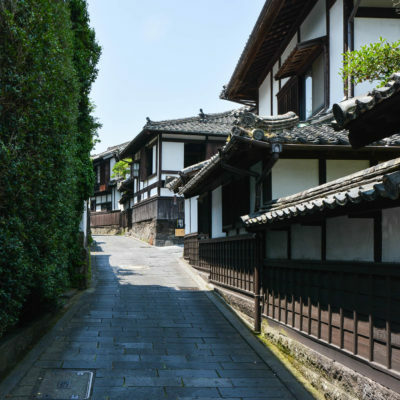 Have you traveled the historic streets of Oita Prefecture? Let us know where you’ve been or where you want to go in the comments! Wherever you are in Japan a Prince hotel awaits. 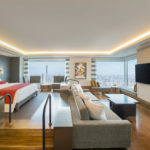 Check out these three properties for your next weekend getaway.